The condition of the world today is such that humanity has become abnormal in these days. Man is not only frightened at badness, but also at goodness; man does not dread only war, but also peace, man is not only tired of enmity, but also friendship; man does not suspect his adversary today but even his own brother. It seems as if the mind of the world were not only tired but ill: it seems as if humanity had had a nervous breakdown. Man, individually or collectively, does not know his life's purpose or goal. The Sufi Message warns humanity to know life better and to achieve freedom in life, it warns man to accomplish what he considers good, just and desirable, and before every action, to note its consequences, by studying the situation, by judging his own attitude, by studying beforehand the method which one adopts to act in life. 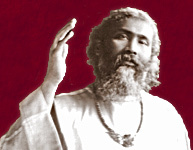 It is true that Sufism does not only guide those who are religious, mystical or visionary, but the Sufi message gives to the world the religion of the day, and that is to make one's life a religion, to turn one's occupation, one's profession into religion, to make one's ideal a religious ideal. Sufism has as its object the uniting of life and religion, which so far seem to have been kept apart. Think, when, once a week, a person will go to church and all the other days of the week he will devote to his business, how can he benefit by religion? Therefore the teaching of Sufis is to make everyday life into a religion, that every action in life may have some spiritual fruit. The method for world-reform which different institutions have adopted today is not the method of the Sufi movement. We think that if ill is contagious, good must be more so. The depth of every soul is good; every soul is searching for good, and by the effort of individuals who wish to do good in the world much can be done, even more that what a materialistic institution can do. No doubt for the general good there are political and commercial problems to be solved and little can be done in that direction before several difficult problems have been solved. But that must not debar individuals from progress, for it is the individualistic progress through the spiritual path which alone can bring about the desired condition in the world.